We work with clients from around the world in creating custom mascots of exceptional quality. At Maydwell, we go above and beyond to bring your vision to life. Whether you're an international company, a local sports team, or a school wanting to add team spirit to your events, we guarantee world-class service and exceptional quality of work. Click the links below to find out more about the amazing work we've done for clients like you in the past. We love working with schools. A Maydwell Mascot will help take your school spirit to the next level. International corporation? Small business? 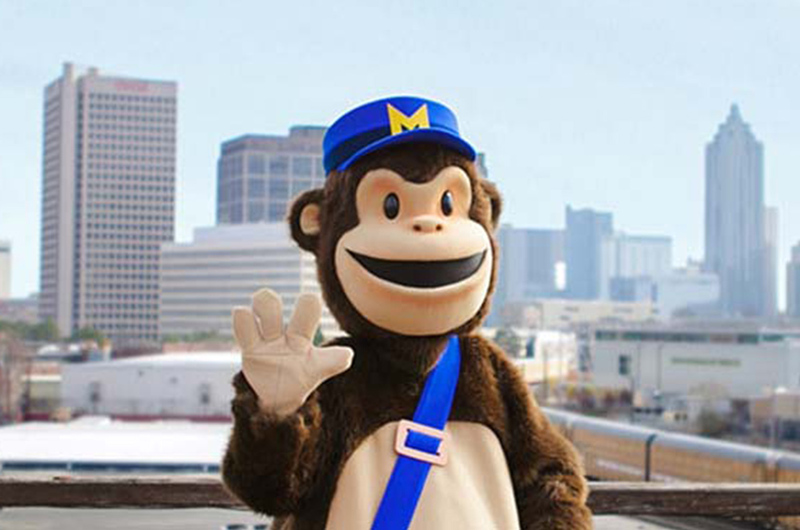 Mascots are a great way to add life and character to your brand. Our mascots give a friendly face to charities, communities, and local organizations around the world. Want to get the crowd going and your players pumped up? We do too! Our mascots are sure to get the job done. No two mascots are alike. When you come to us, we work with you to design a custom character specifically for you and only you. Every detail is considered from your chosen eye colour to the exact facial expression you desire. Working closely with our highly trained and experienced team, we make sure that your mascot is created exactly the way you envisioned it. We Believe in the importance of quality for every client. To the untrained eye, two mascots may often look alike ... until you get to the details. Quality means being particular about every detail. Quality is choosing the best materials to ensure that your mascot will last for years. Quality is something we never compromise on. We take the time that's needed to make sure that every costume is finished with care and precision. Eyes are custom molded out of plastic, painted with multiple colors, and coated with a protective clear glaze making them the focal point of your mascot. 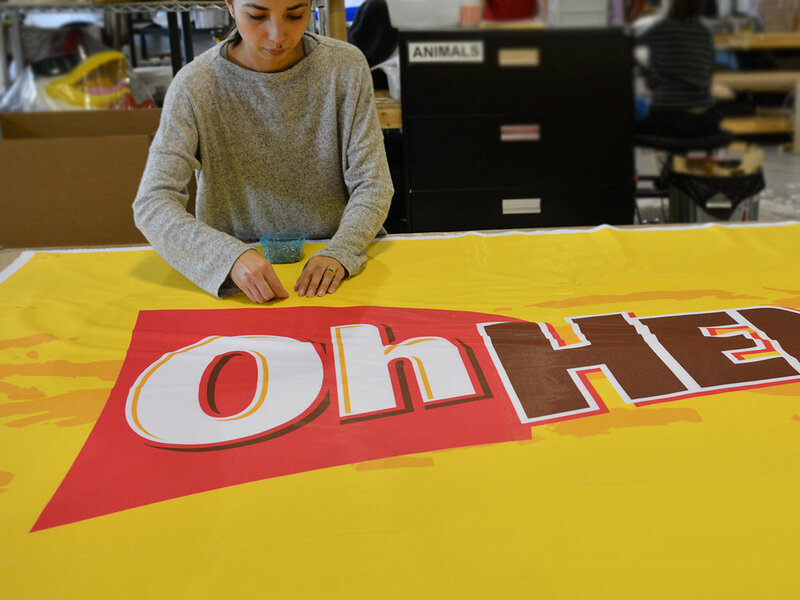 With our large format, high resolution printer, we ensure that your logo, branding and graphics are crisp and clear. We choose the best quality fabrics, highest grade foam, and most durable adhesives so that your mascot is light, comfortable and made to last. Every mascot is airbrushed by hand to create depth and richness. Vibrant colours enhance the life-like quality of your character. With industrial grade machinery, we are able to produce mascots that offer the durability required to give your character a full and active life. We have some of the greatest customers in the world and because of that, we offer the best customer service. From receiving your quote to getting the ultimate mascot, we are with you every step of the way.